i bought this bonsai from an old woman on sunday. 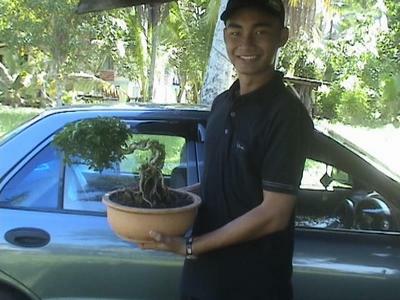 the date i bought is on 10th june 2007. the aged of this plant around 8 to 10 years old. it is 8 inches tall in semi cascade style. Comments for malaysia call this flower "kemuning"
It's a good looking plant, I suggest to get a bonsai see fu to assist u then only the plant will be awesome. your kemuning is excellent i like its shape and branches.